It is true that there is no cure for COPD. However, there are some safety measure you can take to make sure it does not get worse, including exercising, oxygen therapy, medications, and attending pulmonary rehabilitation. Monitor your COPD: Due to the fact that COPD gets worse by each day, you should always be updated on your condition. Visit your doctor regularly, keep a list of dates and times when you experience symptoms, reactions to treatments and exercise and making notes about doctor visits can help people manage COPD more effectively. Exercise: Exercise is very essential in COPD. 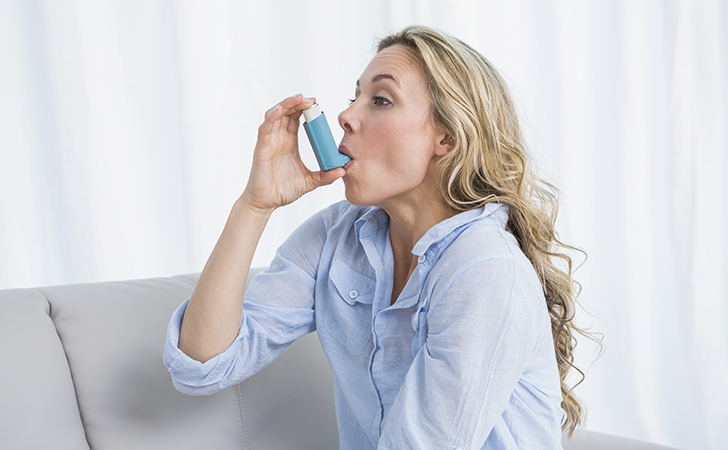 Without this, COPD can become more stressful as breathing becomes more difficult. Exercise helps to strengthen all muscles, including the ones needed for breathing, can improve and maintain lung function, and help people with COPD feel more confident in their ability to complete everyday activities and maintain their independence. There are many exercises COPD patient can do on their own, they include walking, dancing and yoga. Therapy with medication: For people with COPD, medications help to relieve symptoms, stop disease progression and treat an infection. Most medications are taken to make breathing easier, while others are used to decrease sudden loss of breath or treat an infection. antibiotics which is used to treat infections. Oxygen Therapy: Some COPD patients need to use supplementary oxygen to circulate oxygen around the body. This is because damaged lungs do not allow patients absorb enough amount of energy needed to go around the body. Supplementary oxygen increases the amount of pure oxygen a person breathes in, so the lungs have more oxygen to absorb and distribute to the rest of the body, thereby making breathing easier. Pulmonary rehabilitation: This is a six to twelve-week program whichcombines education, exercise and therapy for people living with lung disease. The goal of this rehabilitation is to reduce symptoms, improve quality of life and increase physical and emotional participation in daily activities. Pulmonary rehabilitation is known to improve shortness of breath, quality of life scores and reduce the number of hospitalizations and days in the hospital for people living with lung disease. Lung volume reduction surgery: This is an operation that involves the removal of parts of the lungs that are not in good condition. By removing the damaged parts of the lungs, that are unable to efficiently process oxygen, the rest of the lungs and the surrounding muscles are able to work more efficiently to make breathing easier. Lung transplants: This method is only used for patients who have very severe symptoms, with difficulty breathing most of the time or have no relief of symptoms after using medical therapy. Lung transplantation involves giving a person with COPD a lung from a person who has recently died. A single-lung transplant is done more often than a double-lung transplant, and both are effective methods to improve breathing for people with COPD.